Please note: I bought both of these products with my own money, and these opinions are all my own. 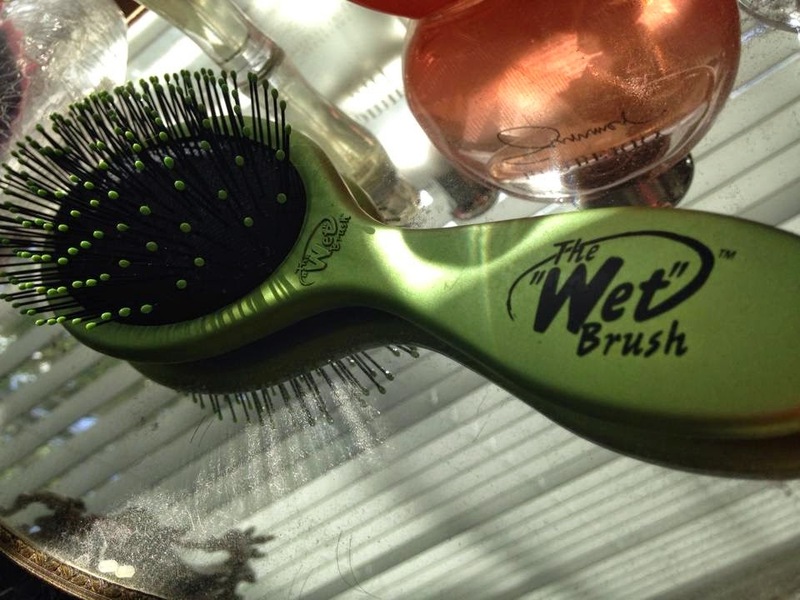 My Wet Brush is green and has a really smooth texture. When my hairdresser handed this brush to me and told me to brush my hair in the shower/when my hair was wet I was definitely looking at her sideways. So when I took it home it sat on my dresser unused for a long time. I've been using it much more recently now though in the bath when I have conditioner in my hair. The bristles are sooo soft and they give way to knots and overall is a very gentle brush. When I'm running it through my hair it is very easy and gets the tangles out without pain and without all the tugging I was doing before. It also helps work conditioner out of my hair and when I get out of the shower I feel like my hair is smooth and soft. The one qualm I have with the brush is that I feel like since the bristles give way so much that my hair doesn't get brushed through thoroughly all the time. But overall, I like this brush a lot and its currently in my shower. 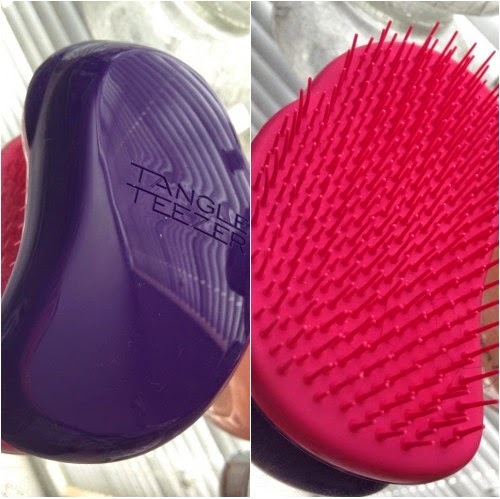 I jumped on the Tangle Teezer bandwagon after seeing it all over some blogs I was reading. I found it at my local Target and it was fairly inexpensive so I picked it up. How it looks: Uh, different? I'm not saying I don't like it but the shape is not the traditional brush shape as with The Wet Brush. I love the colors though. The bristles are short and actually pretty firm. I tried to use this Brush while my hair was wet and unless I had used The Wet Brush previously, I did not like it at ALL. It pulled, it tugged, and I didn't like it. On my dry hair though, on the days I didn't wash my hair it is absolutely LOVELY. It detangles my hair perfectly in the morning after sleeping on my hair all night. No tugging, no pulling, just soft pretty hair. My hair is weird by being curly on the under layers and bone straight on the top layers (it makes for interesting ponytails). After a single brush through my hair feels soft, looks tamed, and is tangle-free! Having a brush that can navigate my strange hair with ease makes me happy. I Love Them Both! Even though they are marketed for the same thing, I find myself using The Wet Brush while I'm in the shower, and the Tangle Teezer once my hair is dry. I'm glad I purchased both of these products and I'm even happier that my hair is the healthiest its been in a long time. 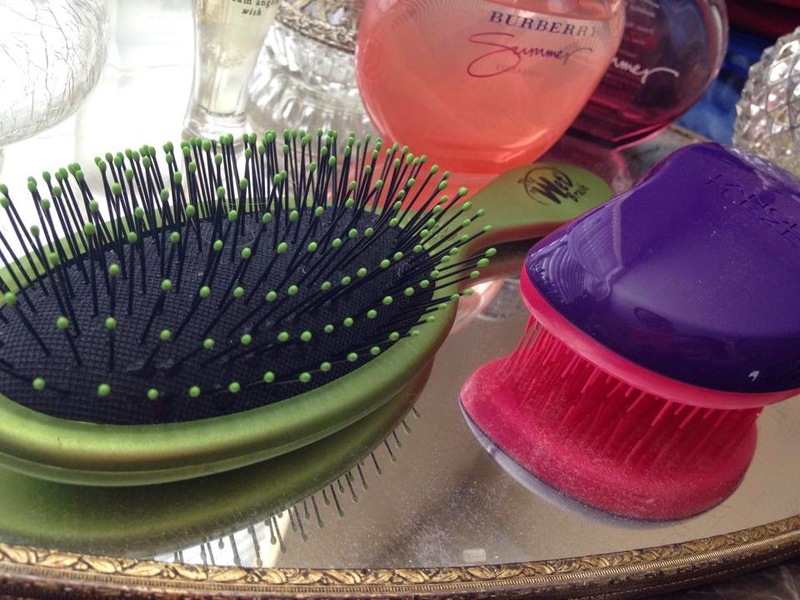 I would recommend these products to my friends, and I actually have recommended the Tangle Teezer to a friend who is having problems detangling her dry hair.